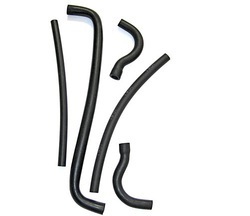 We hold specialization in the manufacturing and exporting of molded rubber products like molded hoses, rubber gasket, coupling hoses, rubber bellows, etc., that are essential for application in different tools, machines and equipment. These molded rubber products are highly versatile and are successful in addressing the demands of varied industry verticals like electrical and automotive industries. These molded rubber products are offered in different specifications and sizes and can also be customized to meet the requirements if our clients. We provide superior range of bellows, gaskets and grommets which are used in automobile and home appliances. Our precision engineered rubber gaskets are durable and high performing. These can be used in both hot and cold mediums such as water, oils, acids & chemicals applications. Our range of qualitative gaskets is widely used for sealing, packing, etc. and gives excellent performance. We are offering our clients with couplings and moulded hoses that are highly flexible and are provided with cushioning property, so as to have a better grip of the pipes and assuring their continuity. Fabricated using quality assured polymers, these couplings and moulded hoses are available in different sizes and diameters to suit the variegated requirements of our clients. We have in store for our clients, an extensive range of rubber-to-metal bonded items that is made from high grade polymer. These rubber-to-metal bonded items are integrated in machines and applications and are successful in serving the requirements of varied industries. We also offer customization of these rubber-to-metal bonded items to suit their industry specific requirements of our clients. We are offering our clients with O-rings, washers and bushes that are specifically designed for integration in assembly parts. 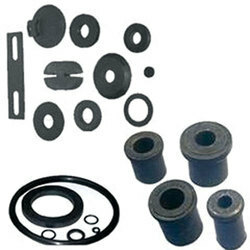 These O-rings, washers and bushes are highly functional as these are flexible and sturdy. Suitable for automotive industries and construction sector, these O-rings, washers and bushes are offered to our clients at most economical prices. These flexible couplings are highly flexible and possess cushioning property, so that they can maintain the continuity of the pipes and hold them better. These couplings are made by excellent quality polymers and are available in different sizes and diameters according to the requirement of client. We manufacture these durable and long lasting rubber hoses to fulfill the demands of various industries who are engaged in the distribution and transportation of liquids, gases. These hoses are also used in transferring of heat generated at industry sites and premises. We provide them in different specifications of length, size and diameter according to the client’s requirement. 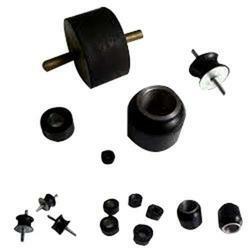 Molded Rubber Products manufactured by us are a pivotal component in different tools, machines and equipment. 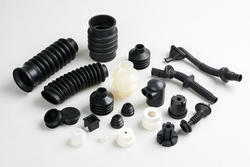 These multipurpose rubber products can be used in different industries and have multiple industrial implementations. We manufacture these products in different specifications and sizes to cater to the needs of electrical and automotive industries. 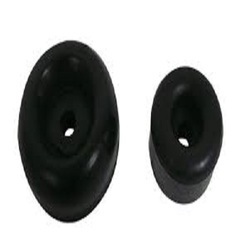 Rubber Bellows are another variety of product which is very effective in sealing of machine components as well as protecting them from dust. These bellows have wide applications in several machines and can be fitted in various equipment. We provide these products in different sizes and configurations according to the needs of automotive industry.